SOLID Norwood Starter or Investment Property! 2 Beds 1 Bath 700 Sq. ft.
Offers Apr 2nd. Are you looking for a fantastic starter, downsizer, or investment property located in Norwood/St. Boniface area? This one is for you! PRIME LOCATION and SOLID HOME. 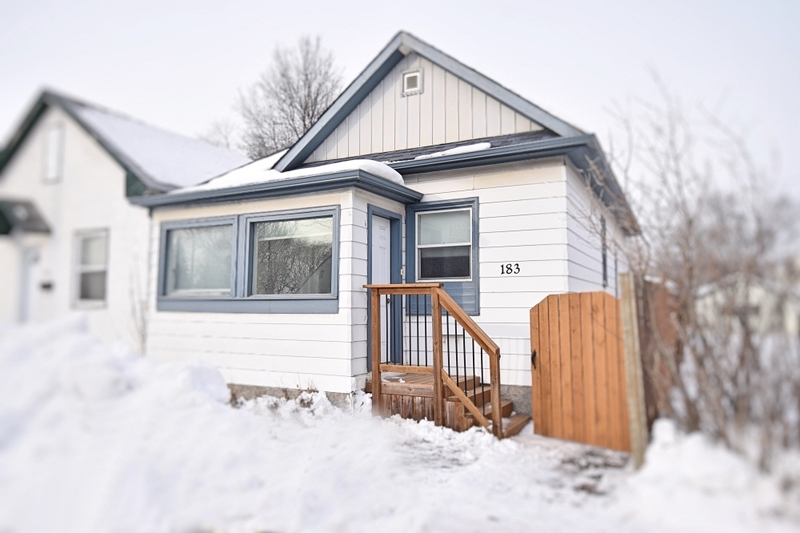 This 2 bedroom renovated home features a lovely front bright porch, modern living room with laminate flooring, high ceilings throughout, eat-in kitchen with newer cabinets and counter, tile backsplash, double sink, movable island (fridge, stove, movable island included). Two good-sized bedrooms also with laminate flooring. The 4 pc remodelled bathroom features ceramic tile flooring and a modern sink fixture. Main floor laundry and mud room that leads you to the large deck–perfect for relaxing and BBQing! Newer windows throughout. Roof shingles ('18), insulation ('10), high-efficiency furnace. Zoned C1. Such a wonderful location and a great neighbourhood.Convenient transit! Close to downtown, the forks, St. B hospital, parks, shopping, restaurants, and more! Book your showing today!